Prosecutor Janvier Munyaneza read out the charge sheet in which they were both read similar cases of being members of a terrorist group (FDLR), engaging in terrorist activities, and conniving with a foreign government and other negative groups to wage war on Rwanda, among others. 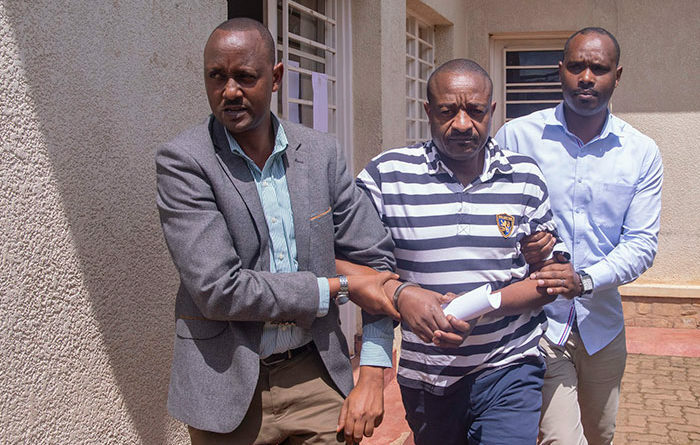 Lt Col Jean-Pierre Nsekanabo (2nd left) and Ignace Nkaka, best known as La Forge Fils Bazeye (2nd right) have their handcuffs removed before a judge at Gasabo Primary Court in Kigali on Monday. Emmanuel Kwizera. Two top commanders of FDLR militia who on Monday appeared before a judge at Gasabo Primary Court in Kigali said they were keen on severing ties with the militia group and appealed to be forgiven and reintegrated. 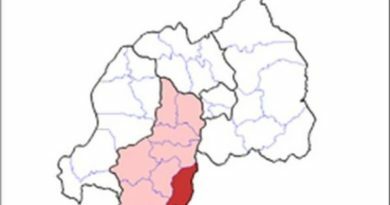 The two – the FDLR spokesperson Ignace Nkaka, best known as La Forge Fils Bazeye, and Lt Col Jean-Pierre Nsekanabo, the head of the intelligence of the outfit – were arrested last year by Congolese authorities. 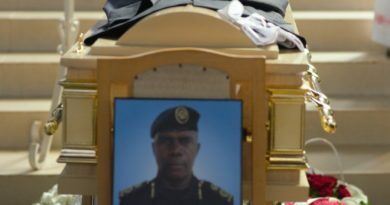 They were later extradited to Rwanda by DR Congo authorities so as to be held accountable for the atrocities committed by the outfit for which they were senior commanders. 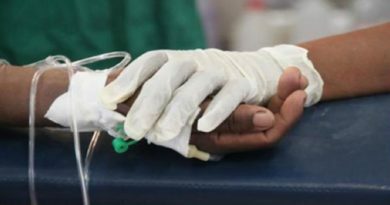 The duo was arraigned before Gasabo Primary Court where they arrived mid-morning aboard a Rwanda Investigation Bureau truck. Both wearing T-shirts, the two looked calm, and were represented by lawyers Beata Dukeshinema (for Nsekanabo), while Nkaka was represented by Milton Nkuba. They were both handcuffed but after they entered the courtroom, the handcuffs were removed before the proceedings began. Clean-shaven, they both often seemed to be preoccupied as the half-empty courtroom awaited the judge’s arrival. Nsekanabo spread his arms on the back of a long wooden courtroom bench to cut a relaxed pose. While Nkaka occasionally leaned in, listened, and responded, his left arm often rubbing the back of his neck. But Nsekanabo looked calm and collected. Their two minders – RIB officers – took positions behind them and sat, attentive. At around 10:05a.m when three journalists in the courtroom angled in front to take pictures of them, the duo fidgeted. They swiftly changed positions, looking on awkwardly as the cameras clicked. The FDLR comprises remnants of masterminds of the 1994 Genocide against Tutsi in Rwanda. The two joined the outfit when it was still called ALIR, which in 2000 merged with other groups to form FDLR. Nkaka and Nsekanabo told court that “having seen developments in the country”, they no longer want to be associated with the FDLR. They also prayed that the judge does not send them on the 30-day remand requested by prosecution, pending further investigation. The militia intelligence chief told court that he is pleading to be reintegrated as this is an opportunity he cannot waste by trying to return to Congolese jungles. Nkuba, Nkaka’s lawyer, explained that throughout his nearly three months of detention, his client has cooperated with the Rwanda Investigation Bureau and provided all the information needed. “Can he escape and run back to FDLR? It is impossible given the information he has provided. And his mindset now is changed. He is ready to work with other Rwandans for nation-building,” Nkaka pleaded. After hearing from prosecution and defence, the judge adjourned the case to Tuesday afternoon, during which a pronouncement on remand or bail of the two suspects will be made. The duo was arrested at the Bunagana border, which links Uganda to DR Congo, last December. Nsekanabo told court that when he was arrested, he was coming from his third trip to Uganda. 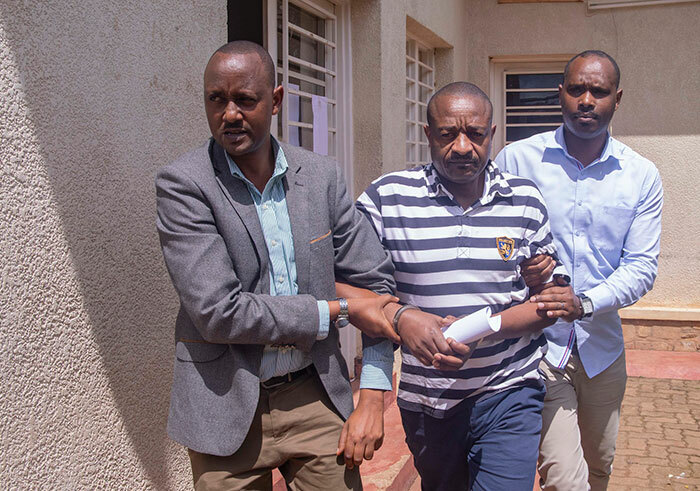 In court, they confirmed they were arrested while on their way from Ugandan capital, Kampala, where they had been sent by their superiors to liaise with members of the dissident group, Rwanda National Congress (RNC). Court also heard that during their trip to Uganda, the suspects had been received and facilitated by Uganda’s State Minister for Regional Cooperation, Philemon Mateke. In Uganda, court heard, their talks aimed at concretising an FDLR-RNC alliance, aimed at destabilising Rwanda’s security. The two groups have, according to a report by the UN Group of Experts created an outfit called P5, which reportedly run training bases located in DR Congo. Their court appearance follows their extradition to Rwanda earlier this year by DR Congo authorities.